Anyone with a video camera and a version of “Harlem Shake” can score a few watches on YouTube. 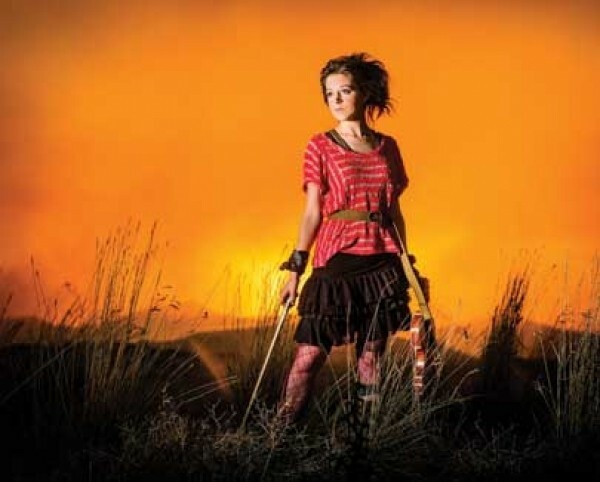 But reaching more than 250 million total views—as violinist, composer and choreographer Lindsey Stirling has done on her channel—requires hitting a few octaves higher up on the talent scale. Stirling began writing original compositions while attending Brigham Young University. Then she began posting videos on YouTube and furthering her pursuit in creating her fusion-centric sound with breakthrough singles released beginning in 2010, on which her influences can be heard. “I didn’t realize what a huge genre it was,” Stirling says, at first overwhelmed by the whole prospect of dubstep. Living in Provo and, previously, in her hometown of Gilbert, Ariz., she hadn’t really been exposed to the unfathomable enormity and various stylings within dubstep, she says. But now, with a few years of experience, she’s hit her stride, aided by collaborations with various artists. The most notable was with cinematographer Devin Graham, first on “Spontaneous Me,” which launched her career. Next, the “Zelda Medley”—where Stirling’s attire and moves reflect the video game’s characters—with Graham solidified her as a cult favorite in the gamer world. Stirling is the chief choreographer and director for these heavily trafficked videos, some of which were shot along the Wasatch Front, providing a stunning, localized backdrop. Each video—with her quirky dancing, manic violin-playing and intricate costumes complemented by her pixie hairstyle—tells a personal story.